Thelema is thrilled to participate in one of the most prestigious wine events on the Johannesburg calendar. Stellenbosch Cabernet – The Collection – promises Gauteng wine lovers an extraordinary once-off experience. On 22nd June, for one night only, twenty-five of the country’s premier Cabernet Sauvignon producers will be bringing the best of their current and pre-release young wines (together with a select array of older and mature vintages) to the nation’s fine wine capital. The exclusive event, taking place at the Hyatt Regency, is limited to 150 guests, who will have access to an 8-wine masterclass® programme where the very best wines from Stellenbosch, the undisputed masters of South African Cabernet Sauvignon will be showcased to highlight the triumphs of the past, as well as the most extraordinary of the contemporary achievements. This is followed by a BBQ and walk-around tasting, with each of the 25 producers showcasing a three-vintage vertical including the legendary and yet-to-be-released 2015 Stellenbosch Cabernet Sauvignon from their cellars. The ticket to The Collection costs R950 per person and includes, canapés and bubbly on arrival, a VIP masterclass®, a meander through the participating brands and a gourmet BBQ. Only 150 tickets available. 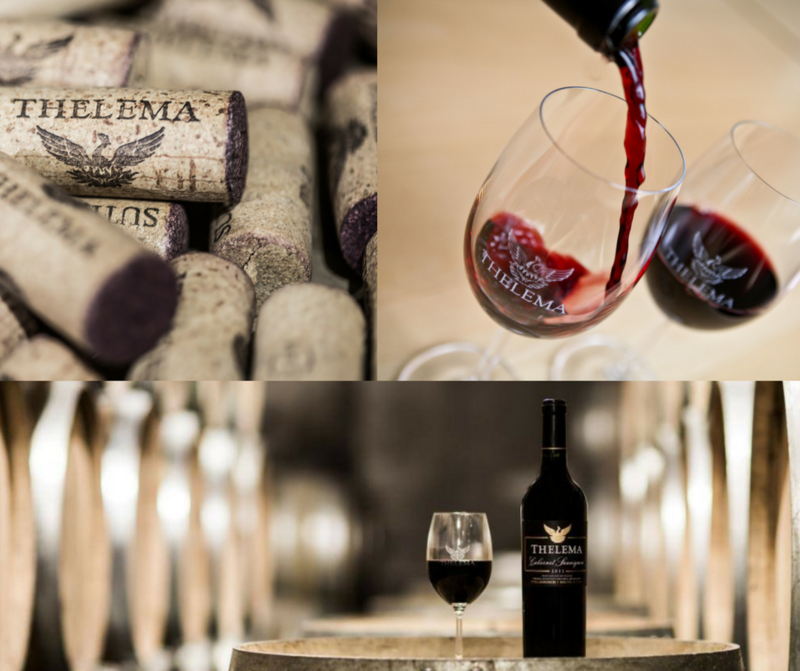 Thelema will be presenting the Cabernet Sauvignon 2009, 2013 and 2015 vintages. YOU CAN LOOK FORWARD to tasting the barrel pre-release of our Thelema Cabernet Sauvignon 2015. 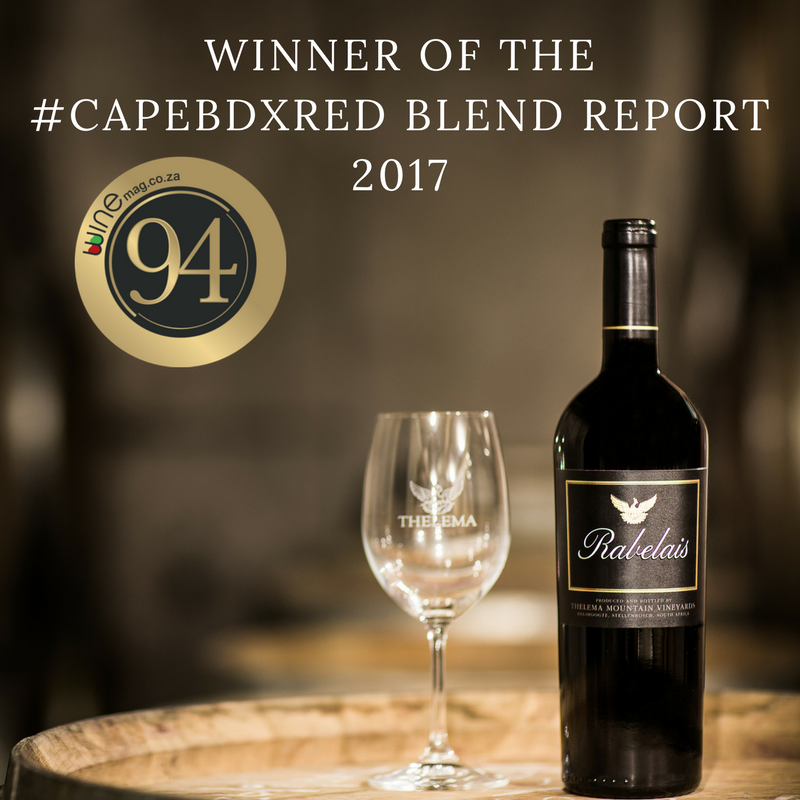 The Thelema Rabelais 2013 received the single highest score of 94 points in the annual Winemag.co.za Cape Bordeaux Blend Report. Some of South Africa’s most highly regarded producers were among the contestants this year, which is underlined by 41% of the 60 contestants scoring over 90 points on the 100-point quality scale.The 2013 release comprises a blend of 90% Cabernet Sauvignon and the remainder being Petit Verdot – the best Bordeaux components from the Thelema range. Click HERE to find out more or to purchase this award winning wine to enjoy!